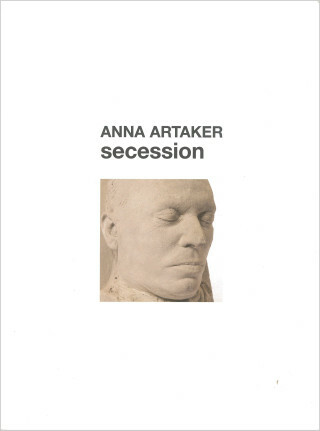 Anna Artaker’s works examine visual production in the context of how history is written: she analyzes images that have been used in the construction and communication of history and have thus become part of a specific historiography. 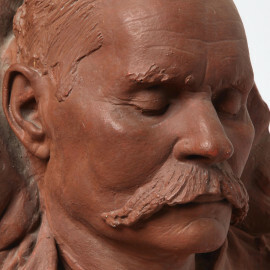 In recent years, Artaker has closely studied the death masks created by the Armenian-Soviet sculptor Sergei Merkurov (1881–1952). Merkurov was a “National Artist” of the young Soviet Union and sculpted numerous monumental statues of the country’s heroes. In addition, he took death masks of prominent figures in Soviet history. 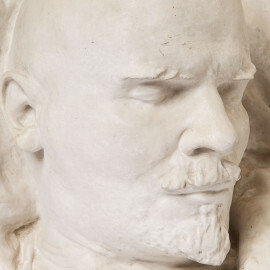 These casts—of the faces of Lenin and his wife Nadezhda Krupskaya, of Sergei Eisenstein and Maxim Gorky, but also of party functionaries such as Felix Dzerzhinsky, director of the dreaded secret police, and Andrei Zhdanov, who was responsible for the repressive cultural policy and censorship under Stalin, among many others—became part of the official Soviet historiography. 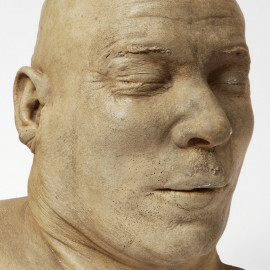 Given the religious-cultic origins of the form, the fact that these death masks were created as part of a modern historiographic project renders them unique. In her solo show at the Secession, Artaker continues her work on these death masks, which she previously documented in a photographic series and two film versions bearing the identical title 48 Köpfe aus dem Merkurov Museum (48 Heads from the Merkurov Museum, 2008 and 2009). At the Secession, she will present stereophotographs of the masks in specially designed display cases. Stereoscopic photography is an old and fairly simple photographic method that relies on the optical abilities of the human eye. 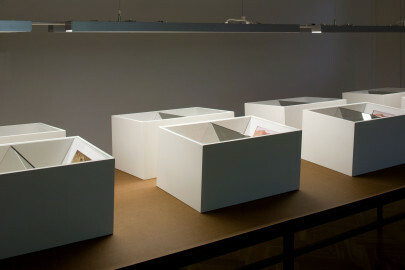 Viewing the photographs in the right way produces the illusion of a three-dimensional object. 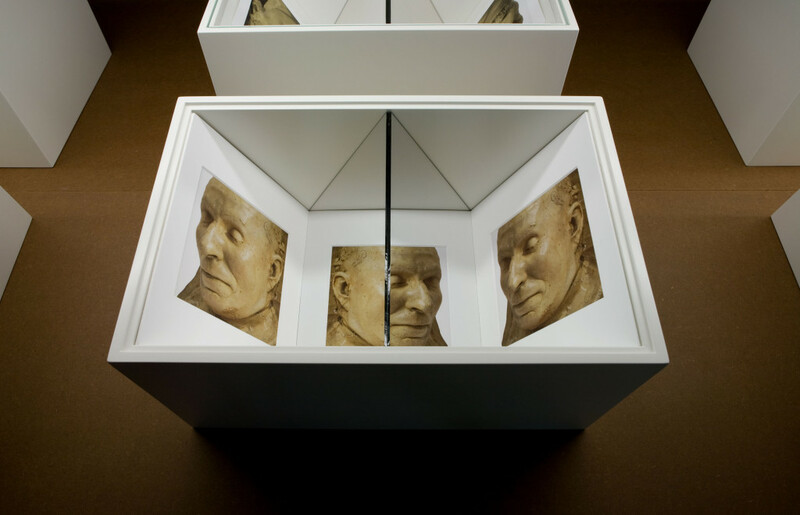 By choosing this recording technology, the artist thematizes the mediatheoretical implications of the masks and their photographic reproduction. 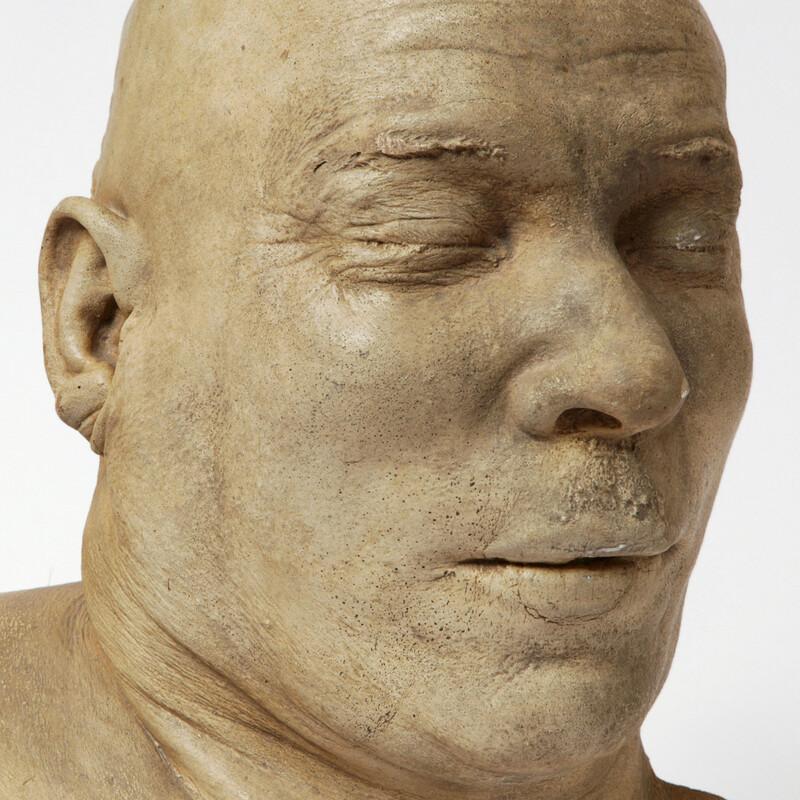 Both the death mask or facial imprint and photography are techniques that serve to transpose an object or body into a different order for purposes of conservation, multiplication, examination, etc. 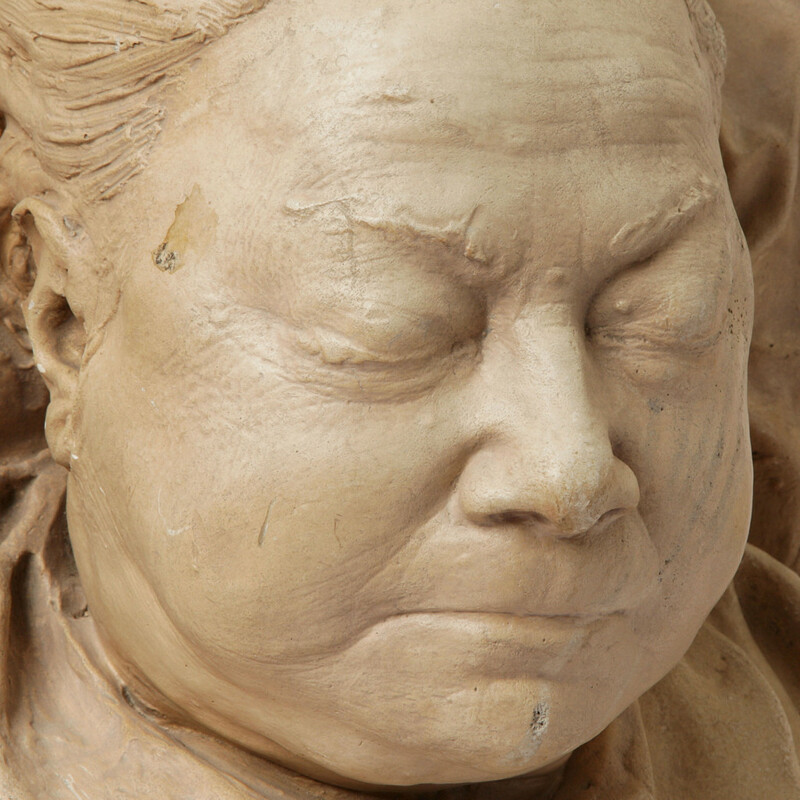 The kinship between the two media of photography and plaster cast is emphasized by the three-dimensional appearance created by stereophotography, which evokes the idea of photography as an imprint. With reference to Walter Benjamin’s hypothesis that works of art lose their aura in technical reproduction, we can also read Anna Artaker’s exhibition as an examination of the aura, an issue that, since Benjamin, has been a question primarily of the medium. Anna Artaker, born in Vienna in 1976, lives and works in Vienna.